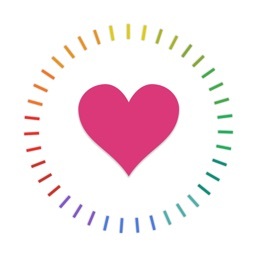 Have a question about work, love, or money? 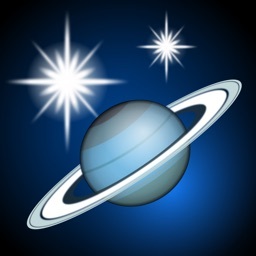 Ask your personal astrologer. 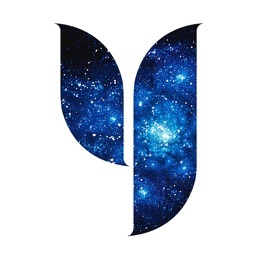 Yodha Love Astrology Horoscope Vs Daily Horoscopes offers daily and weekly horoscopes along with personal astrologers. 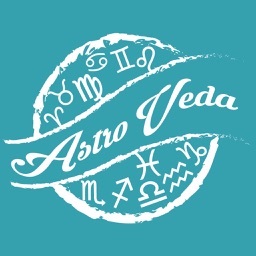 Ask a question and a Vedic astrologer will read your chart to make a prediction. 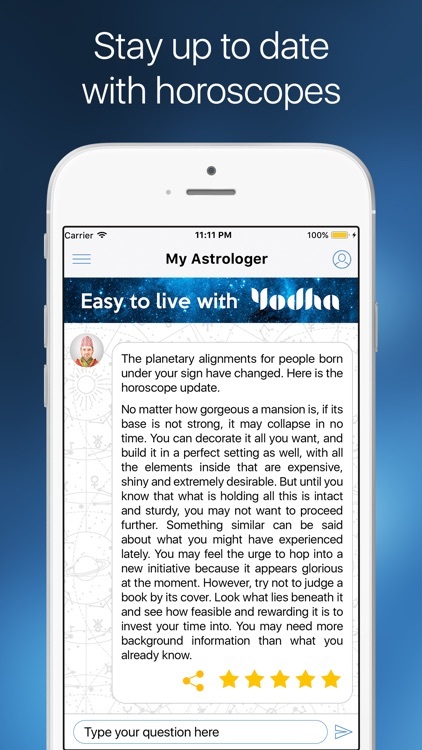 Yodha Love Astrology Horoscope Vs Daily Horoscopes gives you more than just written horoscopes. 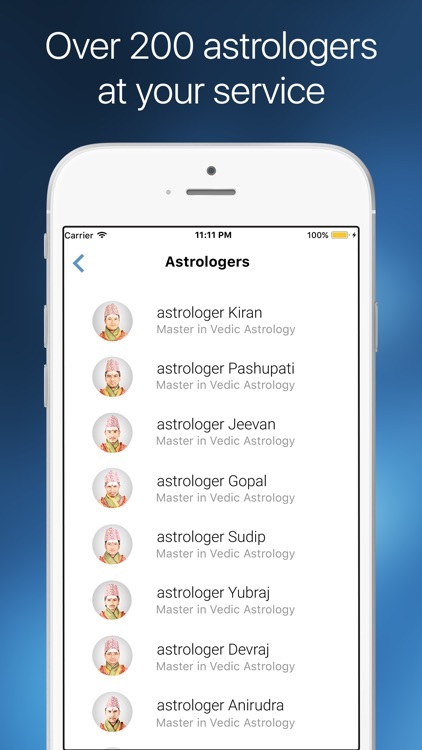 You have access to a Vedic astrologer, anytime, anywhere. 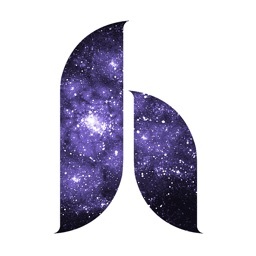 Ask about your career, love life, or finances. 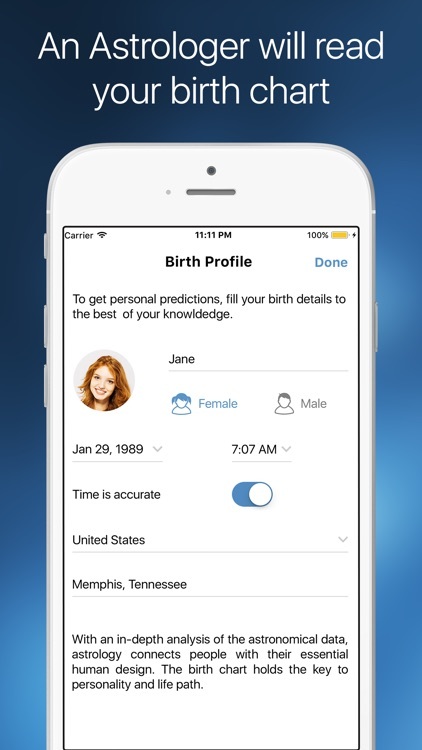 Your personal astrologer will read your chart based on your birth details. 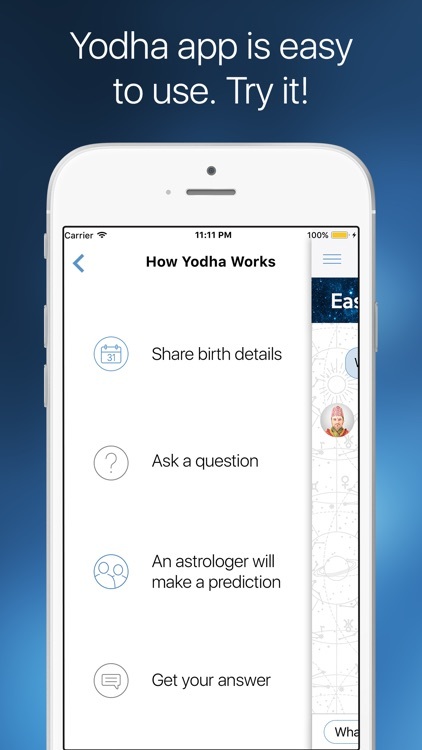 The app also comes with daily and weekly horoscopes for a quick prediction. 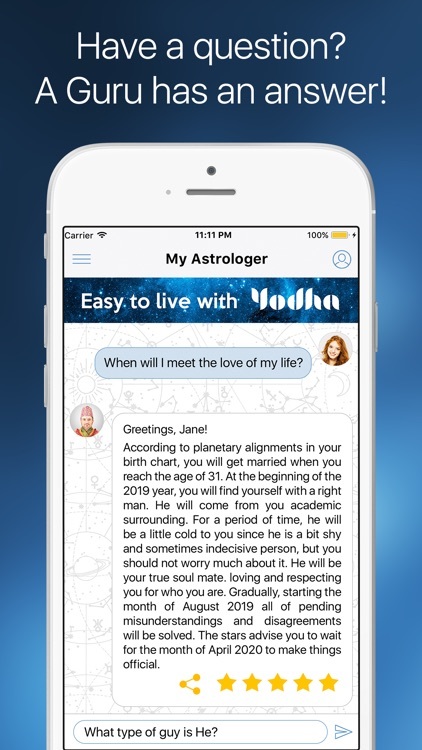 Yodha Love Astrology Horoscope Vs Daily Horoscopes goes a step further by giving you a personal astrologer to answer your questions.